I read this article and found it very interesting, thought it might be something for you. 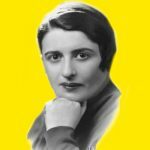 The article is called Science Proves Ayn Rand Wrong About Altruism and Laissez-Faire Economics and is located at http://evonomics.com/evolutionary-biology-proves-ayn-rand/. Rand was not alone in her concern about the risk for exploitation inherent in altruism. Evolutionary biologists grappled with the problem as well. Altruism was problematic for evolutionary biologists precisely because it seems to hamper individual survival. According to gene-centric views of evolution, such as Richard Dawkins’ The Selfish Gene , altruism shouldn’t exist. 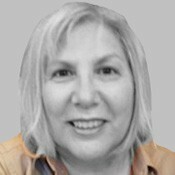 Does laissez-faire work? The American and global economies are still reeling from one of its greatest failures: the 2008 economic meltdown. Alan Greenspan, an admirer of Objectivism and contributor to the 1986 re-issue of The Virtue of Selfishness, served as Chairman of the Federal Reserve from 1987 to 2006. His is disdain for regulation is frequently cited as one of the major causes of the junk mortgage crisis, which in 2008, brought about the worst economic meltdown since the Great Depression. In a congressional hearing, he admitted that he had made a mistake in assuming that financial firms could regulate themselves. This entry was posted in Human Nature and tagged Rand. Bookmark the permalink.